With Readly you can read The Windows 10 Book and thousands of other magazines on your tablet and smartphone. Get access to all with just one subscription. New releases and back issues – all included. 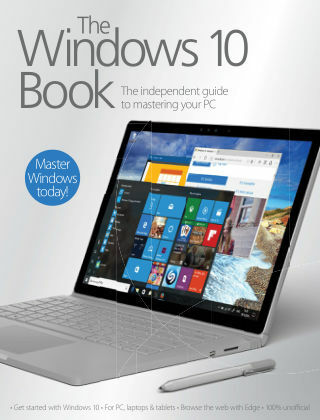 The Windows 10 Book is the complete guide to the newest operating system, here to walk you through everything you need to know, from setting up your PC or tablet, to showcasing the very best apps you should be downloading. Our step-by-step tutorials cover all the essential Windows apps, as well as offering some more advanced tips to help you get the most out of your machine and staying secure. Become more connected and more productive than ever with the new Windows 10 Book. Featuring: Complete guide to Windows 10 - Find out more about what this modern OS has to offer. Guide to the Windows 10 apps - Get to grips with the standard Windows apps, from Edge to Mail. Master Windows 10 - Try your hand at some more advanced computing techniques. Essential apps - Discover the 100 best apps available for Windows 10.